Kestrel Cabin at Wallace Lane Farm Cottages in near Caldbeck and Uldale, Cumbria sleeps 4 people. Wallace Lane Farm Cottages near Caldbeck is set in stunning countryside on the northern fringes of the Lake District National Park. The cabin is well furnished with an open plan living and sleeping space, with a contemporary shower room. An added bonus to Kestrel Cabin is not only the cosy multi-fuel burner, but the decked area boasting its very own hot tub, where you can enjoy star gazing in an evening. Kestrel Cabin is set at the top of a small camping site with stunning views towards the Solway Coast. Set in 23 acres of land (with Woodpecker Cottage, Nuthatch Cottage and Treehouse Cabin) with a vast array of wildlife and panoramic views to the sea and the Scottish hills beyond which guests can enjoy. Kestrel Cabin is well placed to walk the tranquil northern fells or to visit the unspoilt Cumbrian coast, Carlisle and Hadrian’s Wall. The beautiful Cumbrian village of Caldbeck with a pub, tea rooms and shop is just a short drive away. You will find the beach 15 miles from Wallace Lane Farm Cottages near Caldbeck. With the shop, pub and restaurant 2½ miles from Wallace Lane Farm Cottages. Kestrel Cabin can be booked together with Woodpecker Cottage (ref 119136), Nuthatch Cottage (ref 119138) and Treehouse Cabin (ref UK1087 [Treehouse Cabin]) to sleep up to 16 people. Kestrel Cabin is all on the ground floor. Gas central heating, electricity, bed linen, towels and Wi-Fi included. Initial fuel for multi-fuel burner included. Travel cot available on request. Payphone. Welcome pack. External utility room with freezer, washing machine and tumble dryer (shared with other properties on-site). Decked area with garden furniture and barbeque. 23-acres of un-spoilt grounds (shared with other properties on-site). Hot tub for 5 (private). Bike store. Private parking for 2 cars. No smoking. Please note: There is a stream and pond in the grounds, 50 yards away. Holidays at Kestrel Cabin, Wallace Lane Farm Cottages run from Friday to Friday. Pets allowed at Wallace Lane Farm Cottages - Kestrel Cabin . For a better idea of where Wallace Lane Farm Cottages - Kestrel Cabin is, you can see Wallace Lane Farm Cottages - Kestrel Cabin on the map below. 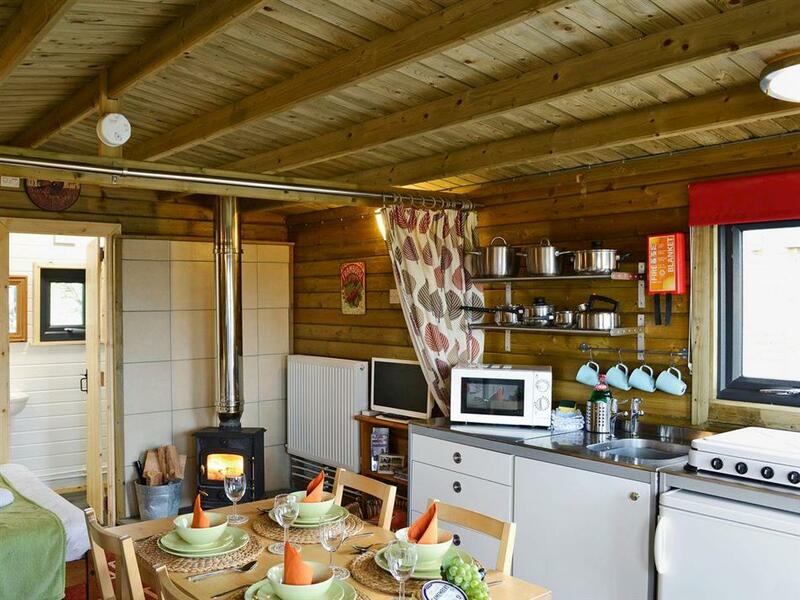 Wallace Lane Farm Cottages - Kestrel Cabin is in Cumbria; should you be on the lookout for a special offer, you can find all the special offers in Cumbria. It's always worth checking to see what is on offer at the moment. 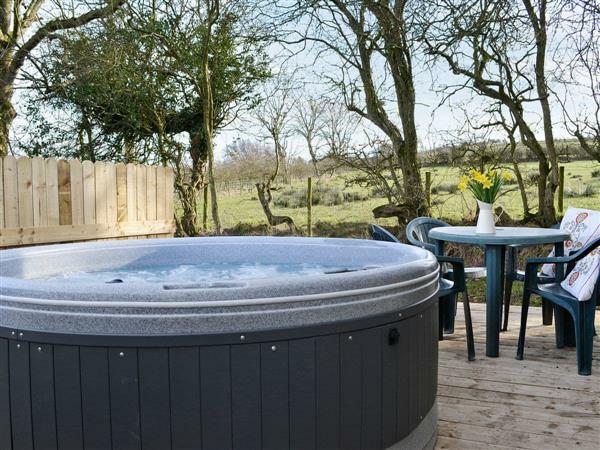 Do you want to holiday near Wallace Lane Farm Cottages - Kestrel Cabin (UK1246), you can see other cottages within 25 miles of Wallace Lane Farm Cottages - Kestrel Cabin ; have a look to find your perfect holiday location.